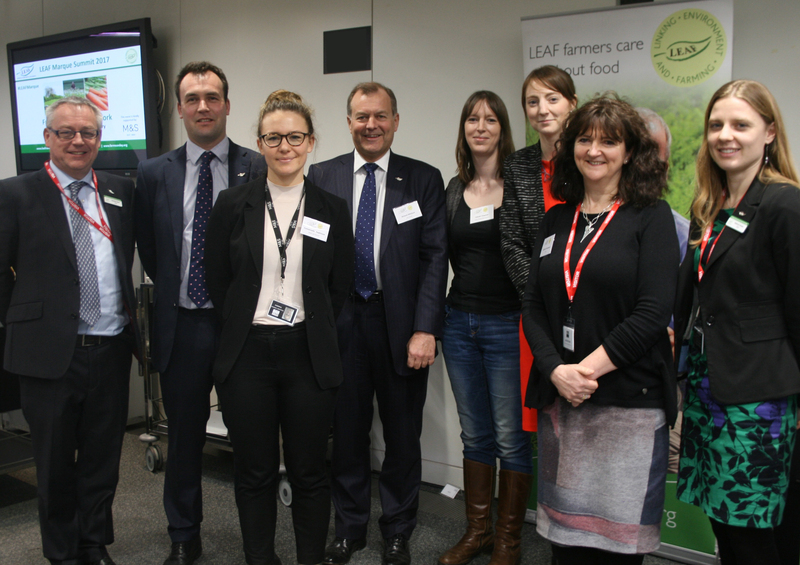 The LEAF Marque Summit hosted by Marks and Spencers, featured the launch of LEAF’s fifth Global Impacts Report, ‘Delivering More Sustainable Food and Farming‘. Once again, the growth in impact and awareness of the LEAF brand was recognised by the food industry, global growers and consumers, with some of the highlighted statistics being 367, 395 hectares of crop worldwide on LEAF Marque Certified businesses in 36 countries, 34% of all UK fruit and vegetables are grown by LEAF Marque certified businesses and 261,000 visitors to farms for Open Farm Sunday 2016. In her opening remarks, Caroline Drummond, Chief Executive of LEAF, highlighted the increasing importance of public engagement, customer focus, knowledge implementation on farms, increased farm sustainability and accountability. Kathryn Green, LEAF Sustainability Manager, gave more details of the Global Impacts Report. 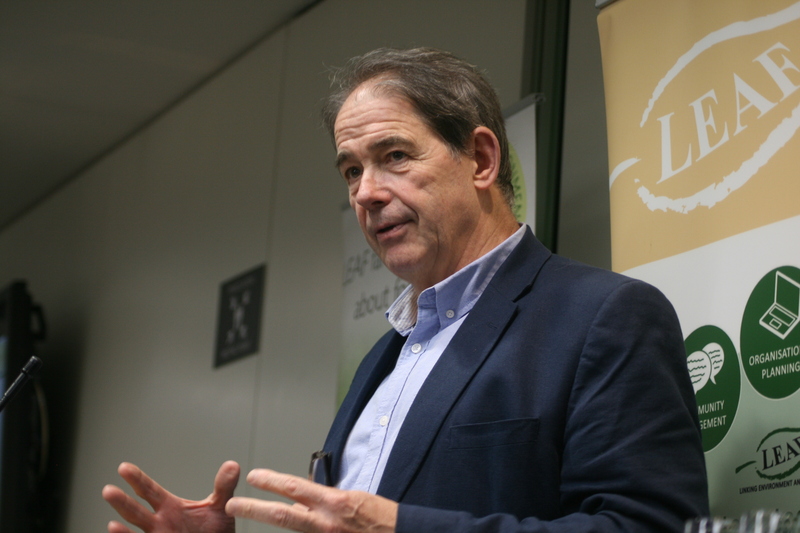 The key note speaker for the day was the well-known environmental campaigner, Jonathon Porritt. Speaking largely off-the-cuff, Jonathan impressed the delegates with his insightful, experienced and passionate values on the future of food production and conservation of the planet, while accepting the need to feed an ever growing, more affluent world population. It is always good to hear from a practical farming proponent. We were honoured to receive an engaging and real-world insight from Simon Day of Worth Farms Ltd, a LEAF Demonstration Farm, who combine large-scale, intensive food production, with care for the biodiversity of their environment, measuring and lowering their carbon footprint and recycling waste, while continuing to increase output and improve quality. Presentations were received from Emma Keller of WWF-UK and Tallulah Chapman of the Forest Stewardship Council. Both these organisations are active in increasing awareness and implementation of sustainable sourcing, with the importance of brand recognition and consumer differentiation being highlighted. Some key takeaway points from these papers were the hidden cost of cheap supplies and the convenience of consumers not wishing to understand more. Emmanuelle Hopkinson, representing our hosts, Marks and Spencer, enlightened us on the sustainability sourcing activity in their supply chain. Marks and Spencer have an ambition to be the world’s most sustainable major retailer and Emmanuelle shared with us some of the successes and challenges they have encountered so far. 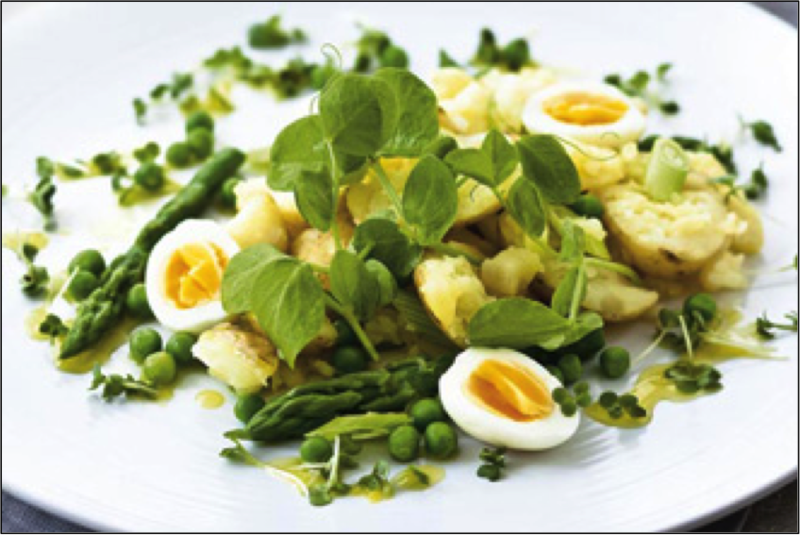 M&S now recognise LEAF Marque as an approved Plan A provider of fresh produce production systems. Finally, Quentin Clark, Director Business Collaboration at LEAF, gave a brief update on commercial progress with expanding the LEAF Marque brand across continents, farms, food brands and retailers. 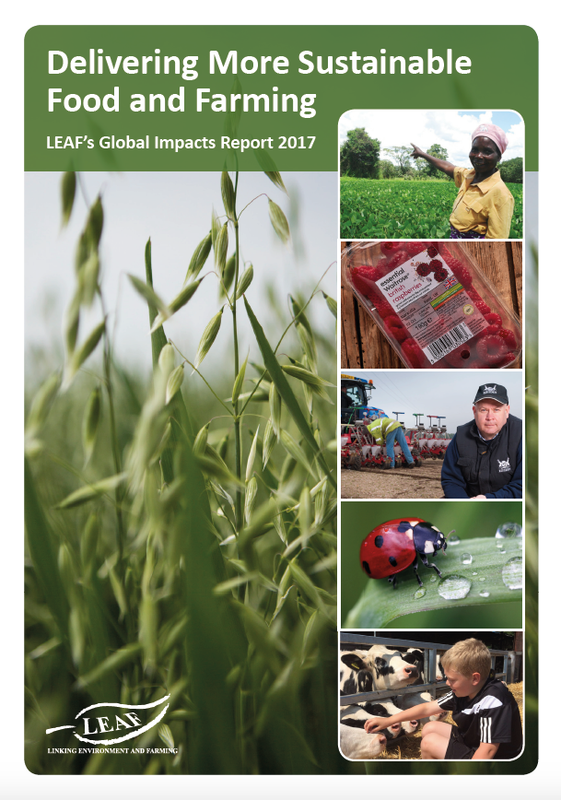 Delivering More Sustainable Food and Farming: LEAF’s Global Impacts Report 2017, is available here. Please take a few minutes to complete our on-line evaluation questionnaire here. Your feedback is extremely valuable to us and will help us improve future editions as well as build upon our monitoring and evaluation activities. 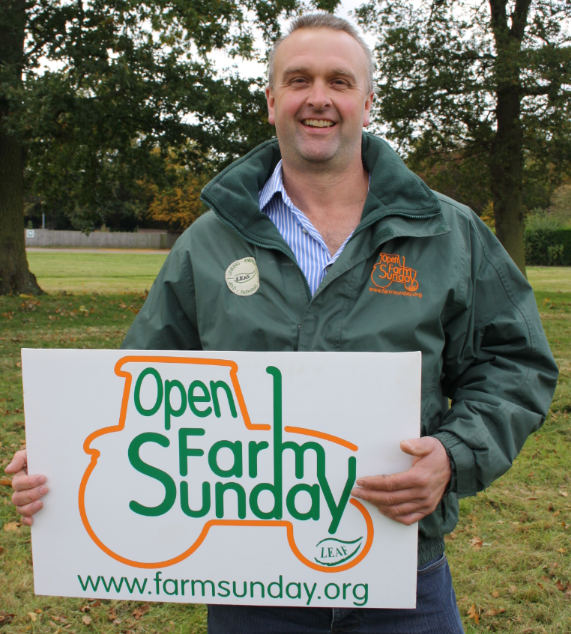 Jeremy Padfield runs the family farm close to the Mendip Hills in Somerset. It is predominantly arable but also has a beef and equine business. 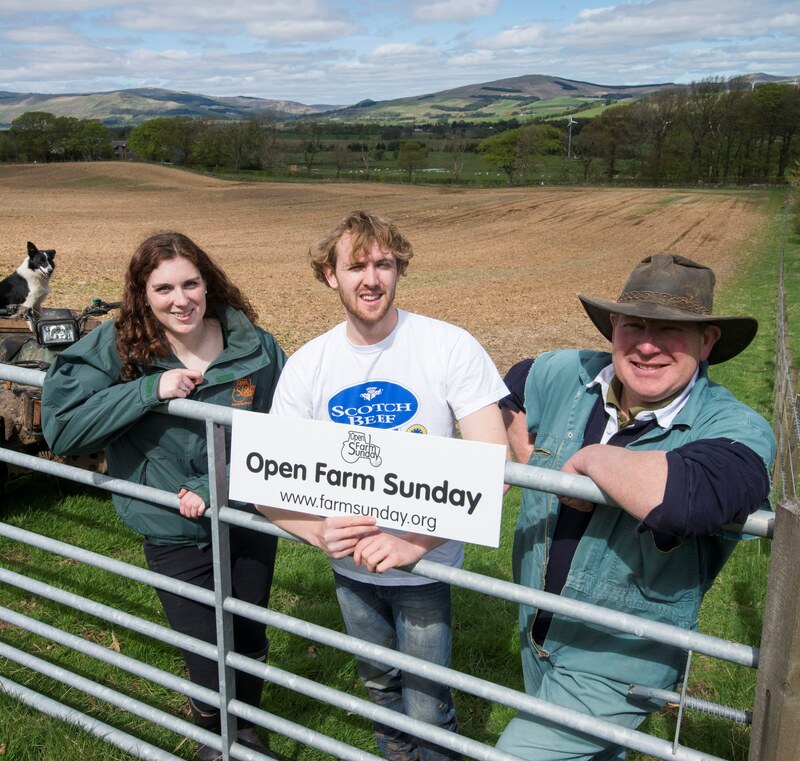 The farm is involved in lots of conservation work and has opened for eight out of the ten years since Open Farm Sunday began. 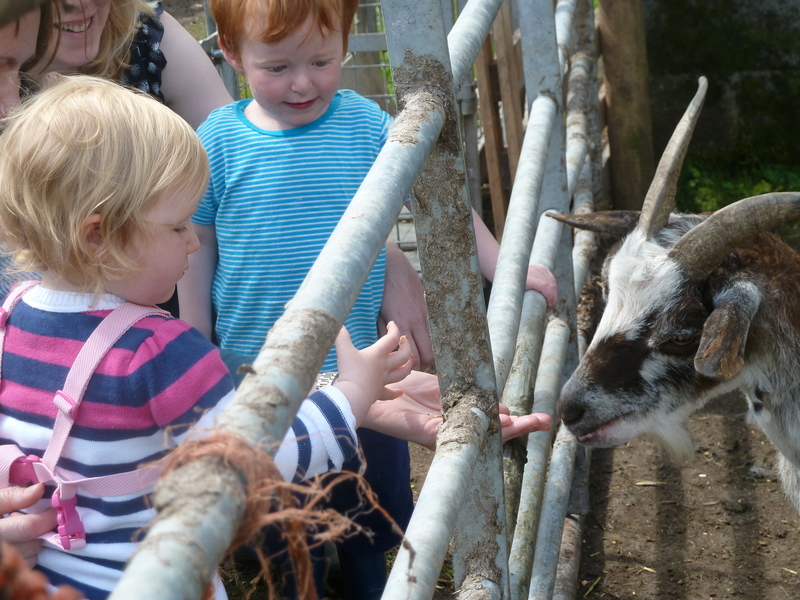 Here, Jeremy shares with us his top tips on how to plan and organise an engaging and memorable Open Farm Sunday event. 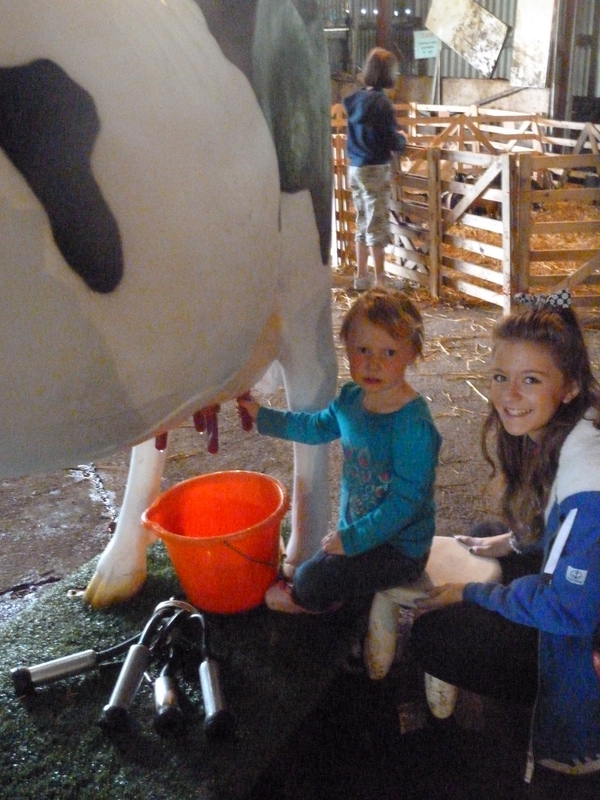 To make your Open Farm Sunday event successful and enjoyable – the key is in the preparation. 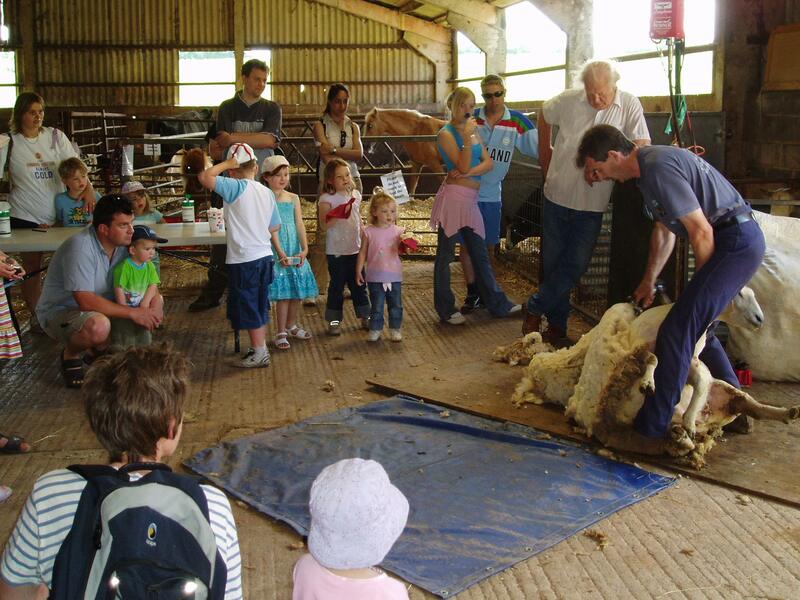 It is important at the outset to decide how, what and where you would like your visitors to experience a great day on your farm. Using a map that shows an aerial view of the farm and buildings is a good way to get an idea of where your visitors can park and then to organise a ‘flow’ to areas of interest and maybe areas that you would prefer to keep out of bounds. 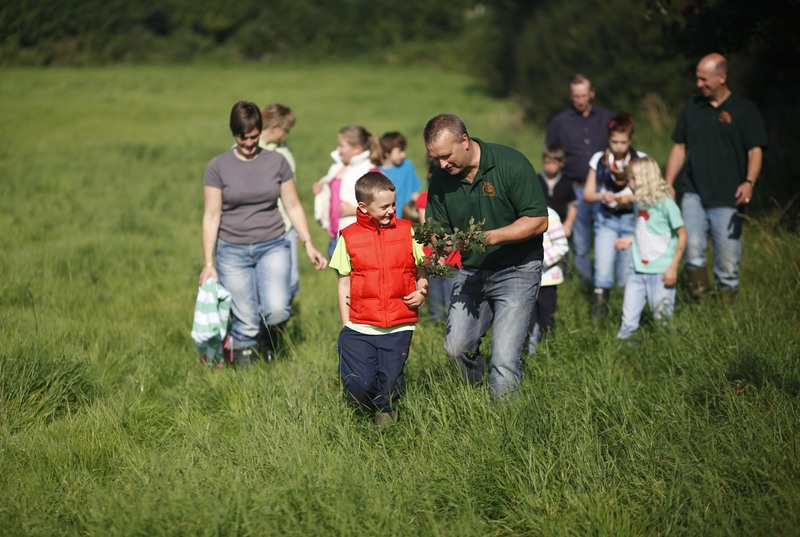 There are so many different people that you will find are very happy to come along and help whether that is friends, family and staff through to neighbouring farmers, young farmers, vets to wildlife groups. A good start is to make a list of all the people that could be a great help on the day. 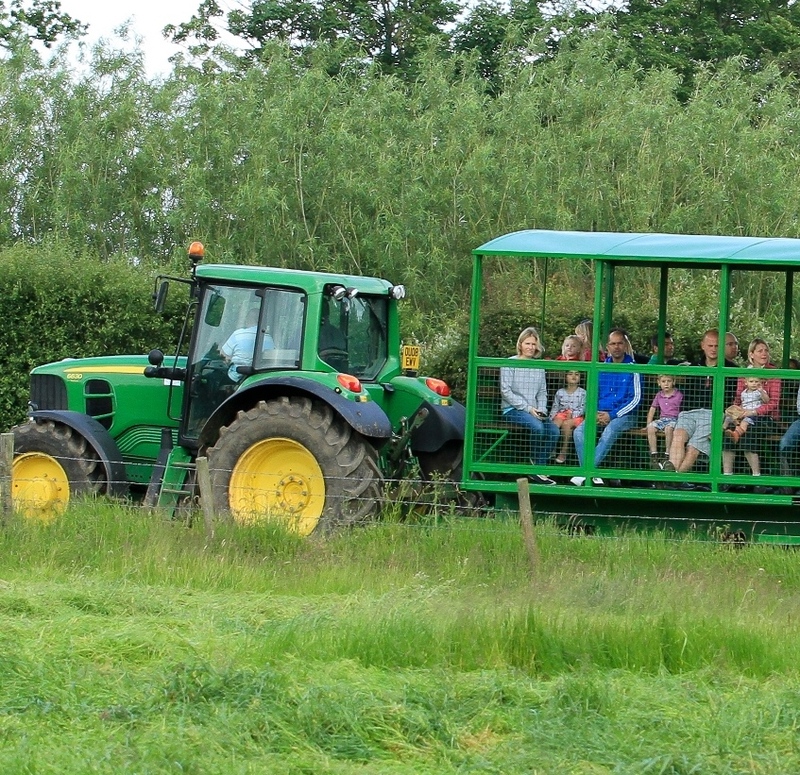 Open Farm Sunday caters for all size of events whether that is inviting a handful of people and taking them out on a farm walk, through to a couple of hundred visitors and then even larger events again. It is good to decide how many visitors you feel comfortable coming along on the day and then start asking from your list of helpers if they are free and get them to put the date in the diary. If some cannot help on the actual day, see if they are available before the event as there is always plenty to do! It is better to have more help than you need so that everyone can have a break on the day and see the event too! Now that you have some help organised, have a plan of activities and an idea of prospective numbers, register your event on the OFS website if you haven’t done so already and start to look at some of the opportunities to learn more through the OFS Bitesize webinar programme. There are lots of top tips on all areas of staging the event and the OFS Checklist is a good way to make sure that you are on track with the preparations. Depending on the size of your event, promotion of your event is an important job and there are many avenues available from local village newsletter, postcards into local schools to social media. Much of this will take place on the weeks leading up to 11th June but it is worthwhile thinking how best to promote your open day. My top tip as you organise your event is to think about the memory that you would like your visitors to walk away with, remember and share with their family and friends – whether it’s one day, one month or even one year after the 11th June. Planning your event so that your visitors go away with this memory is the key to success. Enjoy your preparations and here’s to a great day in June! 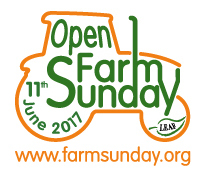 Open Farm Sunday is on the 11th June 2017. Register here to find out more and get involved and do tune into our OFS Bitesize webinars for ideas, information and top tips on hosting a great event. Food labelling is vital to our trust in the products we buy and consume. Without robust auditing the trust in labels and our food system fails as shown by food fraud scares. Our food systems are complex and can obscure the exact origins of our food. 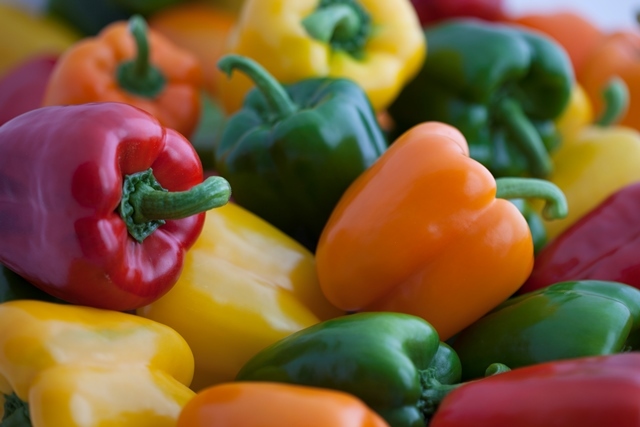 Understanding where our food comes from and how it has been produced underlines assurance schemes such as Red Tractor, RSCPA Assured, Organic and of course, LEAF Marque. In essence, they provide the means to better understand our food. To know that is has met a certain benchmark of safe and/or sustainable production. This is great for us as consumers but also for farmers as it provides recognition for their work in these areas. For LEAF Marque, it demonstrates farmers’ environmental commitments with the potential to increase farm profitability through improved management and expand market opportunities for certified product. Why do we need assurance schemes? Today’s consumer is more informed than previously and they want to learn more. Our digital era has played a huge part in this thirst for knowledge. Furthermore, social media offers immediate communication between farmers, retailers and consumers and is fuelling demand for complete transparency in the authenticity of the products we consume. 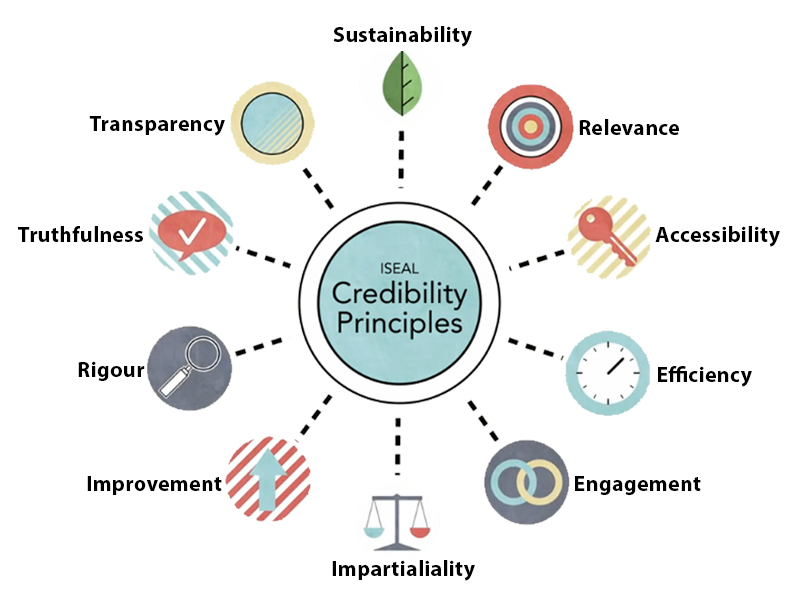 Certification is key to creating more transparency. It helps to prove the high quality of products in a credible way, making them stand out and offering public assurance that they have been produced safely and to a certain standard of quality. 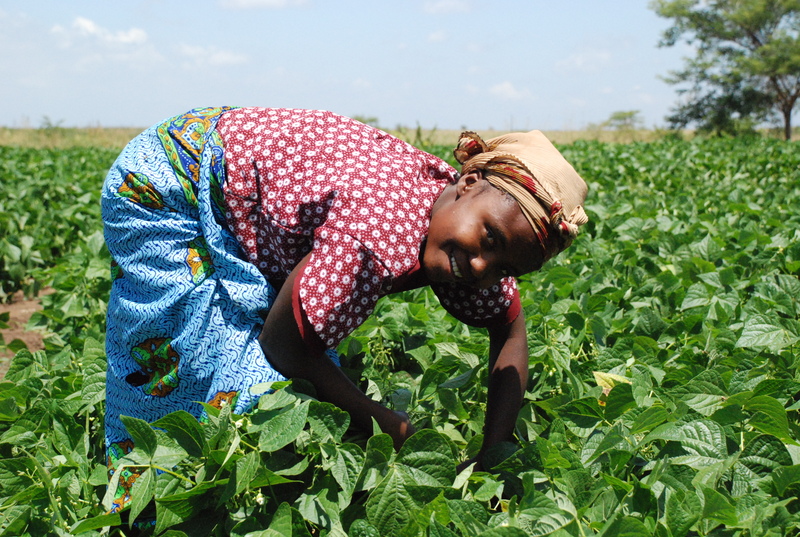 For farmers, certification enables them to show the integrity of their products and helps to secure the trust of their customers which can, in turn, push up sales. How do we achieve transparency? Good governance – our LEAF Marque Technical Advisory Committee overseas the ongoing development of the LEAF Marque Standard which is underpinned by LEAF’s Integrated Farm Management. It brings together experts from a diverse range of backgrounds including farmers, retailers, conservation groups, government and industry bodies. They ensure the LEAF Marque Standard continues to evolve to respond to user comments, industry developments, the rise in new technologies and consumer trends. Collaborating – We are proud to be a Full Member of the ISEAL alliance which works to strengthen sustainability standards systems and encourages dialogue between all its members in order to innovate and drive the sustainability standards movement forward. LEAF Marque has also been benchmarked to Gold Level against the SAI Platform Farmer Self Assessment with appropriate baseline systems. Listening – The LEAF Marque Standard is underpinned by the ISEAL Codes of Good Practice and its credibility principles which set out the approach that is essential for standards. At the very core of these is consultation. We regularly seek the views of our farmers and growers, members and wider stakeholders to ensure the ongoing development of the LEAF Marque Standard. The LEAF Marque Standard – what’s new? Following our most recent consultation process, the latest version of the LEAF Marque Standard (version 14.1) is effective from the 1st January 2017. We have refreshed its design and layout and made a number of other changes including the addition of six new Control Points covering energy, recording habitats and Chain of Custody. Mandatory control points are now referred to as ‘Essential’ control points rather than ‘Critical Failure Points’. These changes and the new design and layout offers our farmers and growers increased clarity. We have received positive feedback from our growers in support of the changes. How will the LEAF Marque Standard have to evolve? Improving our outreach to consumers: Whilst awareness of the LEAF Marque is growing, we still have a long way to go. We will harness the power of social media, increase the number of LEAF Marque certified farmers reaching out to the public, through for example, LEAF’s Open Farm Sunday in order to increase public understanding, recognition and demand for sustainably produced food. 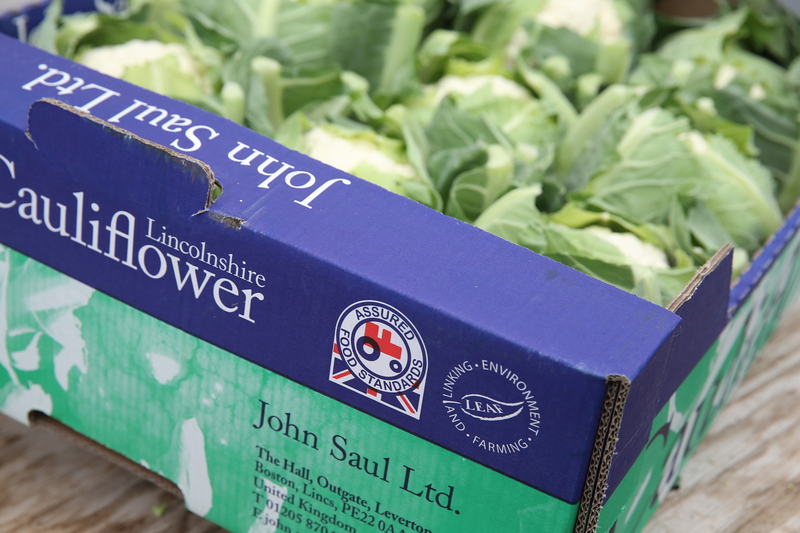 Building closer links: We will strengthen our links across the food industry to work together to ensure the LEAF Marque Standard continues to evolve and drive forward improvements in sustainable farming. Identifying partnerships: We envisage the role of sustainable farming as one of the solutions to the world’s growing health and obesity problems will be a key area for us. 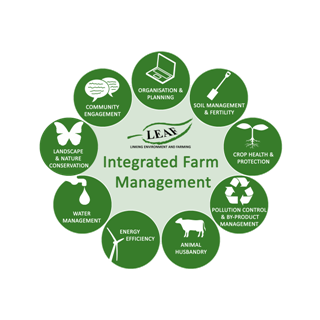 We are determined to ensure that LEAF Marque and the principles of Integrated Farm Management are at the heart of this debate. Independently-verified assurance schemes have a critical role to play in the future. They help to generate higher revenue for farmers, contribute to stronger and more stable supply chain across the entire food industry and can deliver meaningful economic, environmental and social impacts. The key is to ensure they themselves have integrity. There is a powerful and growing wave of momentum behind sustainable food. We are firmly focused on strengthening LEAF Marque as the leading environmental assurance system recognising sustainably farmed products. The LEAF Marque Standard version 14.1 is effective from the 1st January 2017 and can be viewed here. It is available in French, Spanish and Italian here. 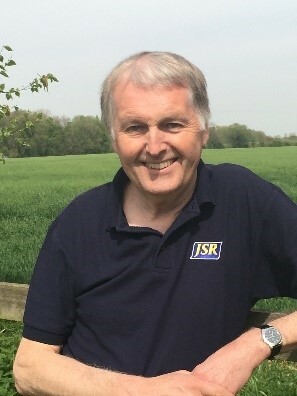 Ian is Managing Director of the Practical Solutions International, an independent consultancy company specialising in sustainable, ethical and safe food production. Ian headed up the work at Sainsbury’s on pesticides for many years and was a member of the Pesticide Residue Committee (now PRiF) for 8 years. More recently has been technical director for a number of fresh produce and cut flower companies and Chair of the Fairtrade International Standards Committee. 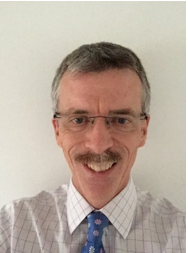 Ian became Chairman of the LEAF Marque Technical Advisory Committee in January 2016. Soil biology plays a vital role in maintaining healthy, sustainable soils and increasing it a key part of LEAF’s Integrated Farm Management. Professor Keith Goulding, Sustainable Soils Research Fellow at Rothamsted Research, explains that providing growers with a greater depth of knowledge on the physical, chemical and biological complexity of the soil environment is key to addressing the current threats to soil sustainability. Healthy soil is fundamental to food security, ecosystems and life. 90% of all the food we eat is grown in soil, feeding a global population that has increased to 7.3 billion people. Healthy soils provide a variety of vital ecosystem services such as nutrient cycling, water regulation, flood protection, and habitats for biodiversity. Soil biology is essential for healthy and sustainable soils. 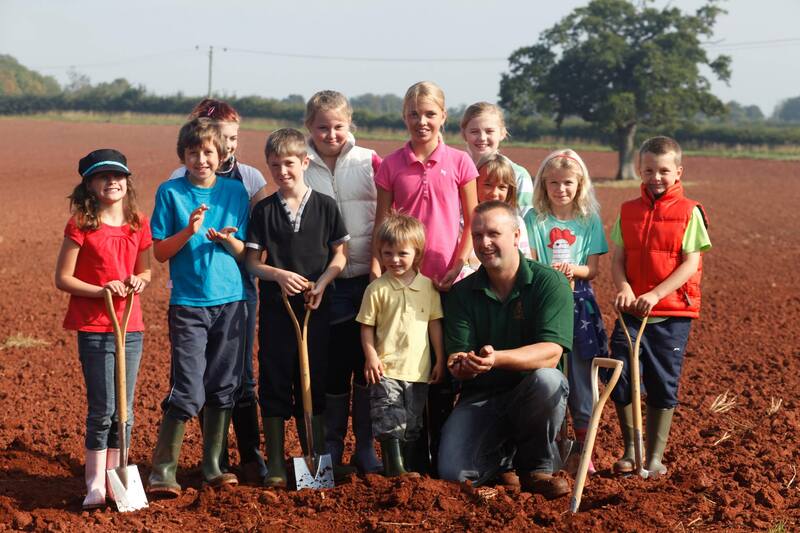 The conservation and improvement of soil is among the highest priorities of any farm. Routine analysis, maintenance and improvement of physical, chemical and biological soil health helps ensure soil’s long term fertility and builds organic matter, while reducing the risk of erosion, structural degradation, compaction and associated environmental concerns, such as flooding and drought. Good soil husbandry increases yields and profitability. Soil biology is essential for healthy and sustainable soils. Helping growers get a better understanding of the role of soil biology in key processes vital for growth of plants such as nutrient cycling (decomposition, mineralisation, immobilisation and denitrification) is vital to the way they think about, manage and protect soils. What is soil biology? What is soil organic matter and why is it important to soil biology? How can we measure and increase it? These are all questions that I’ll be addressing at a one day course, run in partnership with LEAF and Artis Training. 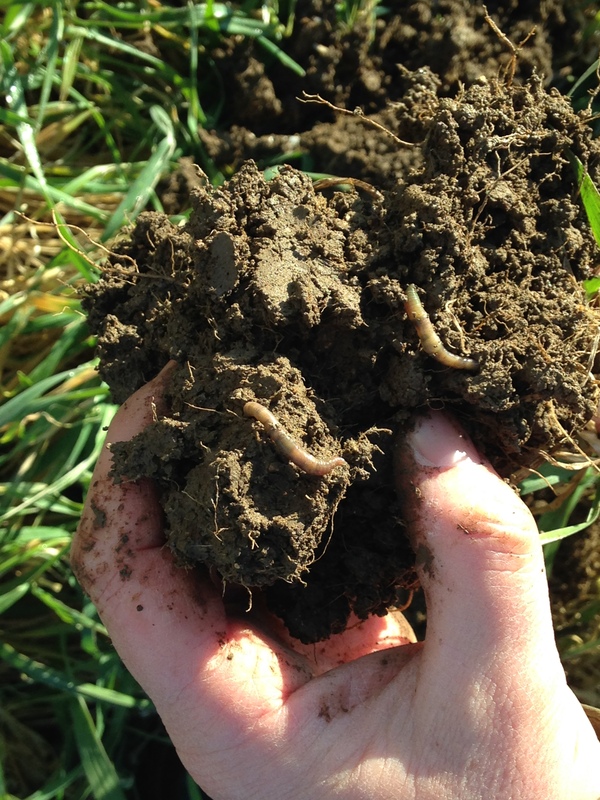 Aimed at advanced practitioners, the course will help growers get a better understanding of the factors affecting soil biology, and the role of soil organic matter in improving soil structure, aeration, water and nutrient supply. We will also provide practical strategies to help growers measure and maintain soil organic matter, exploring sampling and tillage. Providing growers with a greater depth of knowledge on the physical, chemical and biological complexity of the soil environment is key to addressing the current threats to soil sustainability and the protection of this precious resource. It’s an exciting and challenging area where farmers have a central role to play. 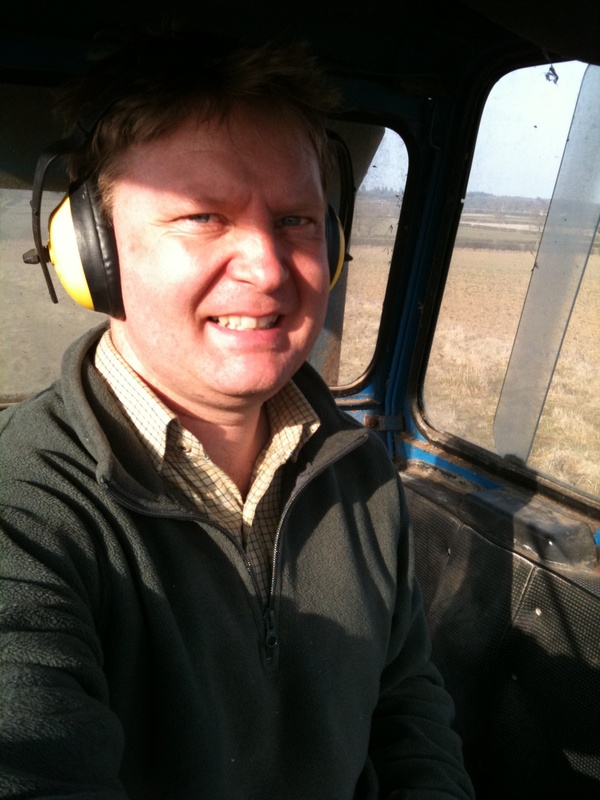 Professor Keith Goulding is the Sustainable Soils Research Fellow at Rothamsted Research, a LEAF Innovation Centre. 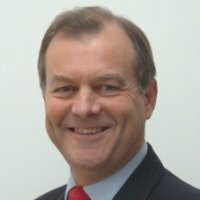 He joined Rothamsted Research in 1974 and gained his PhD at Imperial College in 1980. His research has included the supply to crops of potassium and phosphorus from the soil, ion exchange, acid rain, soil acidification and liming and nutrient, especially nitrogen, cycling. Knowledge generation and exchange is a key part of being a LEAF Demonstration Farmer. It’s essential to keep things fresh and moving forward, to ensure a constant flow of experience, skills and information. This is exactly why I was keen to take part in the pilot scheme run by the Environment Agency offering agricultural placements for their officers. A great opportunity to share what we are doing here, as well as to strengthen our working relationship with the Agency. 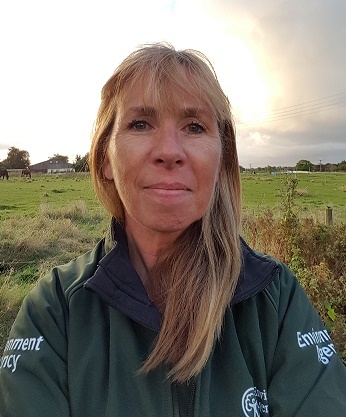 Our EA officer was Helen Dale, an experienced Environment Officer based in Lincolnshire who joined us in February and March. The first visit was very much office based, focusing on the theory behind what we are doing here, how we plan and document our farming operations – covering nutrient management and applications as well as our traceability systems. In March, it was all about getting out on the farm to see it all happening in practice. 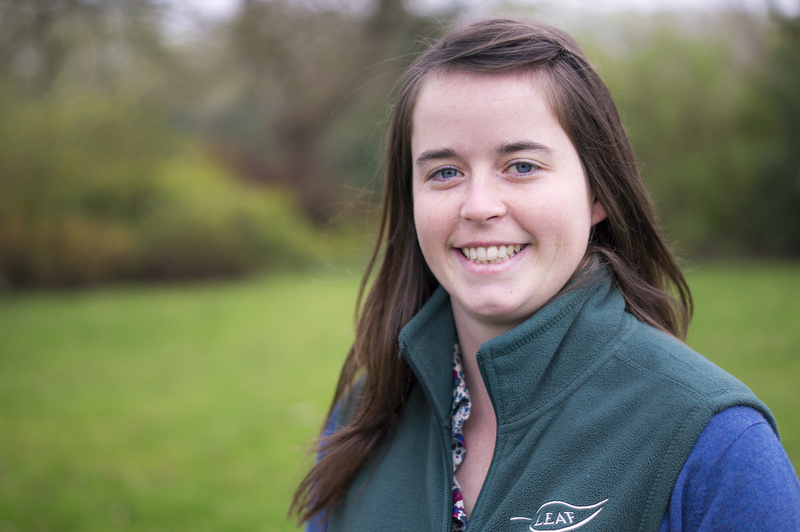 Helen shadowed our slurry spreading team and spray operators, saw grass strips being drilled, potatoes being graded and joined our ploughing and fertiliser spreading guys so she could get to grips with precision farming and satellite navigation. A very varied few days which gave her a great overview of the whole business and how we are implementing Integrated Farm Management (IFM). As farmers, it is absolutely critical that we are open to new ideas, share our experience and knowledge and keep an eye to the future. The scheme gets a definite ‘thumbs up’ from JSR. We were delighted with the way Helen interacted with staff, her enthusiasm and thirst for knowledge. Having the right calibre of placement is essential for staff to feel comfortable and ‘open up’. 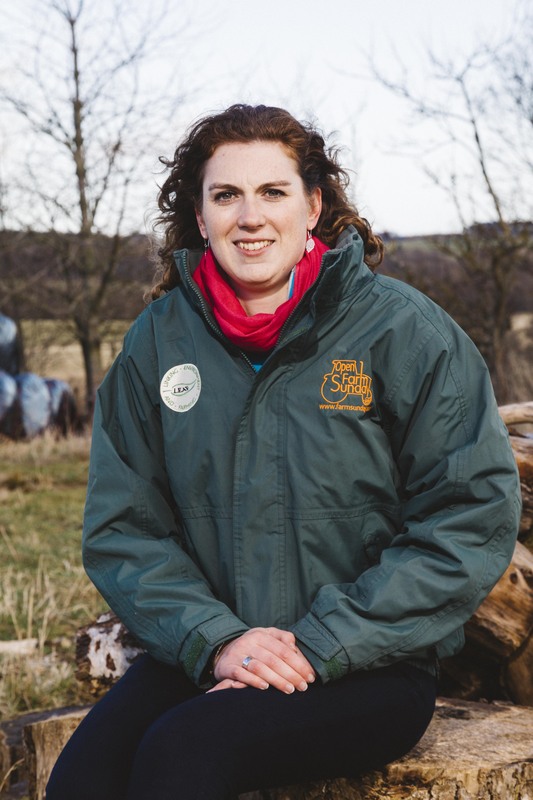 The insights and practical knowledge that Helen picked up from her time with us, can only have had a positive impact on the support and advice she offers to other farmers in the future. 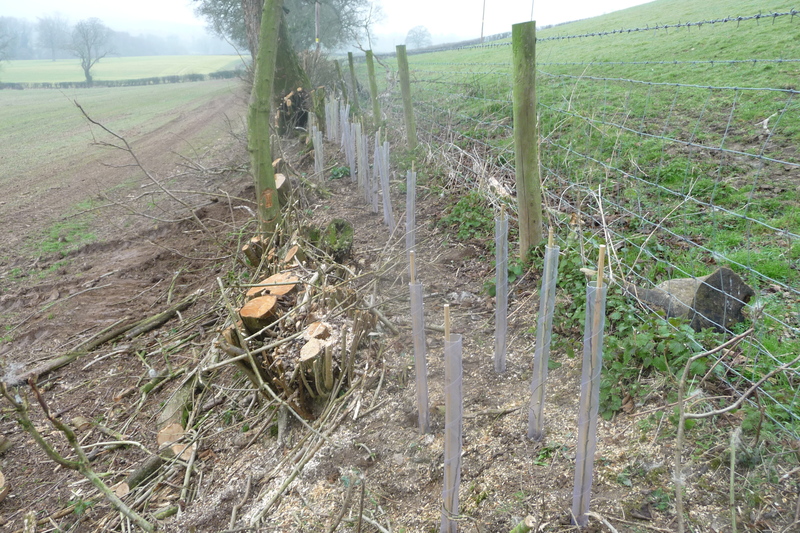 In addition, the scheme provided us, as a business, with a hugely valuable vehicle to build on our relationship with the EA. The more we can do to enhance this partnership and to demonstrate the professionalism of our business, the better. I have always viewed the Agency as an additional resource on which to draw upon – working together with them and not against them. It’s a bit like your bank balance – the more you can put in, the more resources and good will there is to draw upon when you need it! 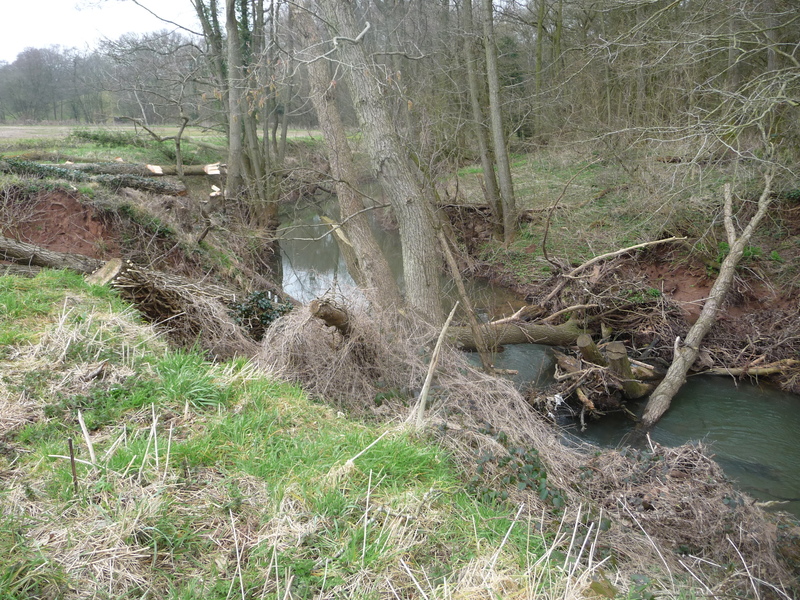 The Environment Agency’s Agricultural Placement Scheme will run again in 2017. I’ve hit a bit of a buffer in my quest to lose 25lbs in LEAF’s 25 years. I’ve held my weight at around the 15 stone or 210lb mark that I last reported but haven’t made much progress in losing the next 15lbs I need to lose to reach my target. I’m still walking my 10,000 steps a day and adding in an occasional run too, but I fear that I’ve got to a stage that I’m still eating too much and what I’m doing is not burning off enough of the calories that I’m consuming. To me there seem to be two options, one is to cut out the naughties in all meals, but I’m one of those people who does enjoy my food and the prospect of cutting out the sugar, cream and occasional fried potato product from my diet does not fill me with any joy. 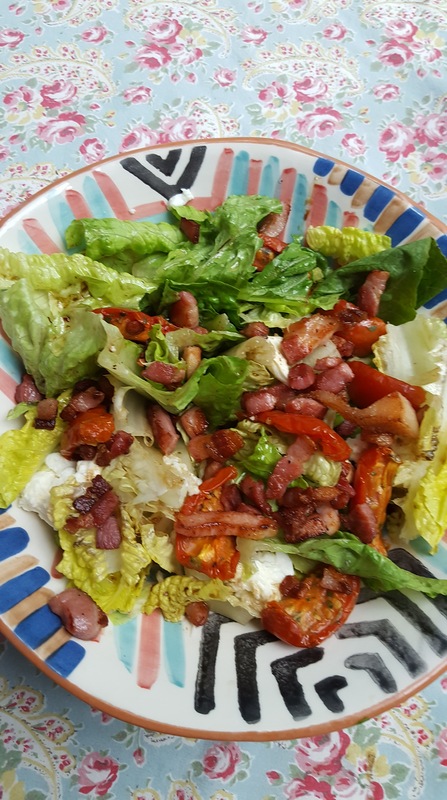 So the I think I’ll try the other option – the 5 2 Fast diet where for 70% of the week I can eat almost what I want, leaving me to consume a Monastic 600 calories on the remaining two days of the week. On those two days I can still have the odd portion of yoghurt, plenty of fruit and veg and I’m quite looking forward to a lunch of crushed peas, shoots and new potatoes (minus the butter, of course, but with eggs). The picture is taken from http://www.goodtoknow.co.uk/ my version will not be quite so impressive, I’m sure, but I’ll take a photo of it and it will contain lots of LEAF ingredients. 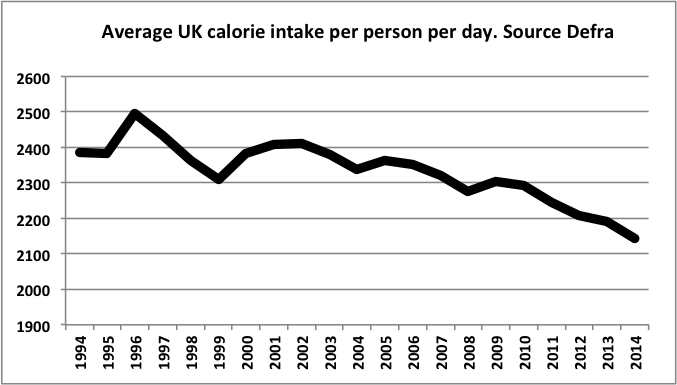 My new-found interest in weighty matters, has led me to look at food intake in the UK. Given the headlines and concerns over obesity, you would think that we are eating more food than ever. But figures from Defra tell a different story. For the last 70 years Defra and its Min of Ag predecessor have been monitoring food consumption through a large scale survey of ‘typical’ consumers. 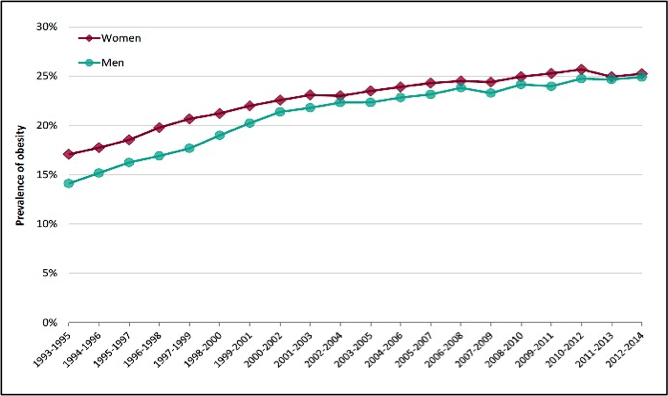 This shows that in the last 20 years the average calorie intake per person has dropped by a whopping 14%. So what is behind this apparent conundrum, that while we have reduced our calorie intake as a nation we have got fatter? There has to be an element of physical activity in the equation. The last 20 years has seen a continuation of a long-term trend away from manual work. From mining to engineering to much of farm work, automation has replaced hard physical labour. That means fewer calories are burnt. Figures from the www.thefastdiet.co.uk website show that a 40 year old 14 and a half stone man burns off 3550 calories a day doing heavy exercise or a physical job, but the same person who does a non-physical job with little or no exercise burns off just 2250 calories. The type of food that we are eating may also play a factor. As well as eating more sugar, we are eating more processed food. One theory is that what this processing does is part digest food allowing energy to be taken in more readily by the body and converted into fat if not burnt. As one who is struggling to get the pounds off, it is a theory that should be looked into a little more closely. 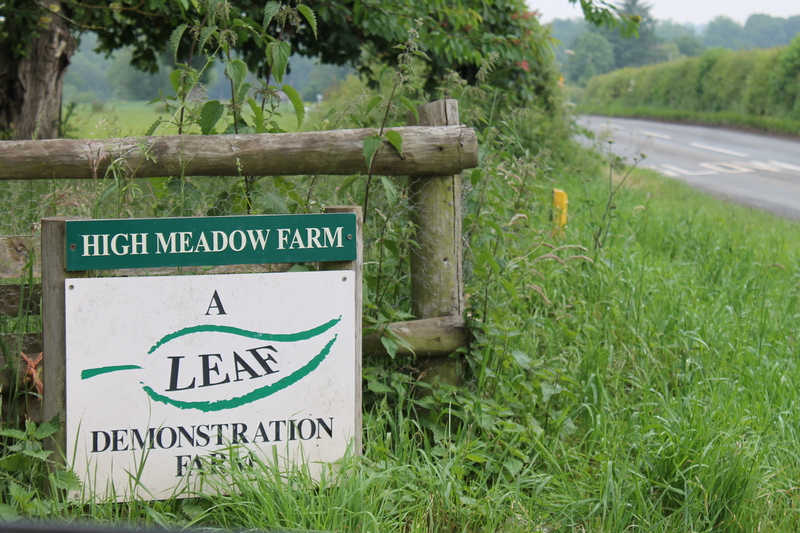 Continuing LEAF’s 25th anniversary theme ‘delivering healthy food and farming fit for the future’, LEAF is organising a sponsored bike ride – click here to sign up and keep up to date with all our 25th anniversary news and events here. 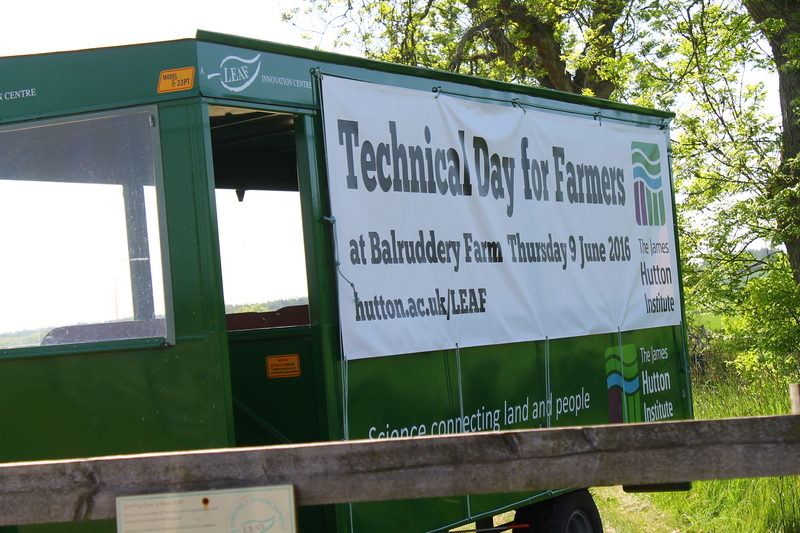 Alice Midmer, LEAF’s IFM Manager recently returned from Scotland, where we held our 25th anniversary Scotland dinner for members and supporters and ran a Farmer Technical Day in partnership with The James Hutton Institute. Here, Alice reflects on the events and shares her highlights. 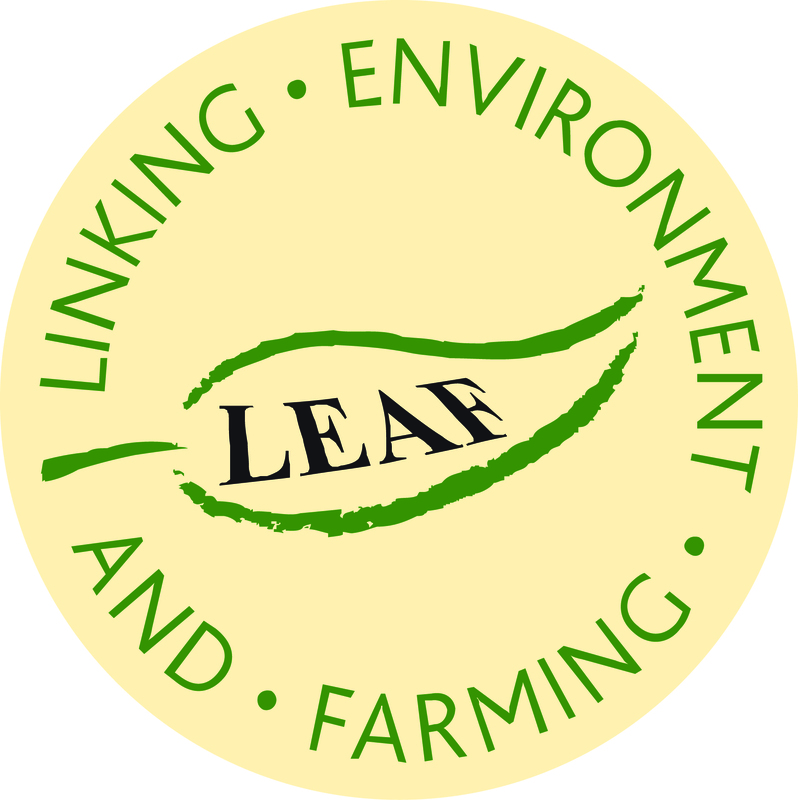 LEAF has a strong and vibrant presence in Scotland with four Demonstration Farms, two Innovation Centres and many LEAF Members. 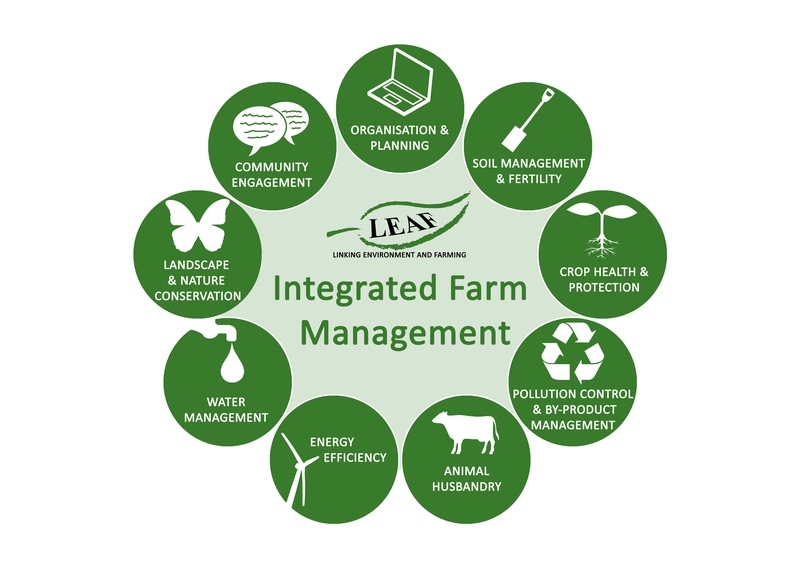 We are very proud of the partnerships we have developed and are determined to build on our activities across the border to strengthen LEAF’s reach, increase awareness and uptake of Integrated Farm Management as well champion public understanding and engagement in sustainable farming. It was a privilege to meet with Scottish Demonstration Farmers and supporters at our 25th anniversary dinner which we held prior to the Farmer Technical Event. It was a great opportunity to meet socially with so many supporters across the region, share experiences and map out priorities for LEAF’s next 25 years. Professor Colin Campbell, Chief Executive of the James Hutton Institute, which was LEAF’s first Innovation Centre, gave an engaging overview of the role of JHI in pushing forward the boundaries of sustainable farming, their commitment to ensuring cutting edge research reaches out to farmers and how their role as a LEAF Innovation Centre plays a central role in making this happen. This led on to a lively discussion about what sustainable farming means in practice, the challenges facing farmers and the potential of Integrated Farm Management to address them. It was a great evening full of laughter, friendship and lots of ideas on how we can build on our work in Scotland. The sun shone brightly the next day for our Farmer Technical Day at JHI, where we were joined by SRUC and SoilEssentials who work closely with JHI on a range of research projects and wider work . The day had a very practical focus with guided tours providing farmers with a great opportunity to talk directly to researchers at each stop. 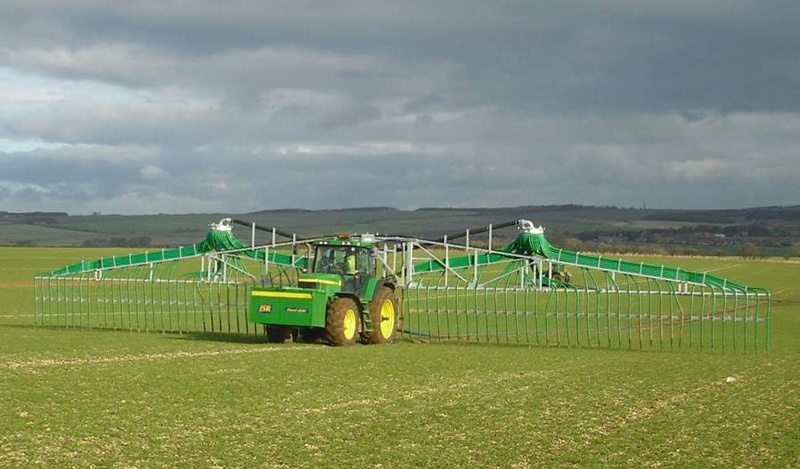 The day covered a broad range of topics from cover crops, Integrated Pest Management, Precision Farming, Eco-engineering through to improving phosphorus use and whole-system models and decision aids. One of the stops on the tour was run by LEAF Members, SoilEssentials who talked about how precision farming data can be used to lower environmental impact and increase profits. It was also interesting to hear Ewen Mullins, from Teagasc, the Irish Agricultural and Food Development Authority talk about the environmental impact of GM blight-tolerant potatoes. Other highlights were LEAF Demonstration Farmer, Edward Baxter providing a fascinating overview of his PhD field headland research and JHI’s Farms Director, Euan Caldwell explaining about his wonderful Magic Margins. Knowledge generation and exchange is at the heart of IFM. It is events like this that bring farmers and researchers together to inspire and learn from each other that will progress the development and uptake of more sustainable farming. Our thanks to everyone who was involved in the day.